Currently, it is a well-known, but unfortunate occurrence when a person's Facebook account is compromised. When this happens to us, our information becomes vulnerable, our activities online are disrupted, and we have dozens of friends angry with us for posting and sending them strange material which seems out of character with our authentic personalities. Most of us have either endured this type of infiltration ourselves, or we know friends who have gone through the unpleasant experience. Either way, the ordeal can be extremely disruptive and confusing. 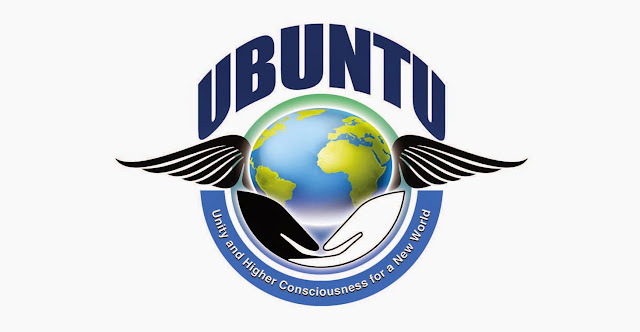 Many of us are familiar with the name Michael Tellinger and his work in the Ubuntu movement. This is a man who has shown to be an accomplished author and presenter on hundreds of ancient sites, on global phenomenon and on numerous subjects in alternative science which mainstream science has only begun to touch upon. Those who follow Michael Tellinger on social media and on Gaia.com will know his studies and his stance on the various issues that we face in modern times. This is a man who is thorough in his research, responsible in his dialog, and well-respected in the world of alternative science. However, there seems to have been a significant change in his posts as of late. This article is designed to help us question that which we see even from sources we trust. 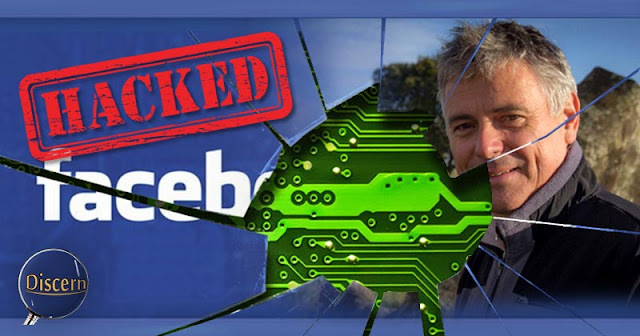 Within it I intend to prove that with investigation, we can see that the recent posts on Tellinger's page came from a hacker and not from the authentic personality we have come to know and respect. Let's get one thing straight. The reason that some choose to cling so tightly to the idea of a disc-shaped planet is because we are looking for legitimacy. This is not legitimacy of a shape or an ideology, but a legitimacy of our own profound experience of awakening. We find ourselves in a new state of consciousness that we do not understand. We find our curiosity heightened and our interests drawn to that which deifies the mainstream. Within this state we find our way to YouTube and eventually to a story that seems to make sense. However, in our state of curious naiveté, we fail to realize that not everyone who speaking on public forums holds our best interests in mind. Understand this. Your experience of curious discovery is absolutely real. Your right and freedom to search for truth and newness is absolutely real. There is no need to cling to any belief system for the sake of legitimizing your right to search for this truth. Your right stands on its own. Your awakening exists on its own. It is a divine right, and is completely independent from any need for external justification. Belief systems will fail you. YouTube will fail you, but if you dedicate yourself to reliable, responsible, and independent study, and if you become an intellectually dependable person—realizing that you have the right—you will not fail. No belief system is more important than your own divine identity. Your idea of truth must come from your own identity, and until you know yourself, you will not know truth. A planetary shape is not your identity. It never was. You are your identity, and it is your own identity that deserves to be discovered, studied and understood in order to comprehend anything and everything about the universe around you. I say this because in many ways, we will be disproving a belief system (though this is not the main goal of this article), but this belief system does not hold a candle to the infinite being that you are. For those who have not yet heard, there is presently an ongoing campaign focused on discrediting whistleblowers and public figures who directly threaten the establishment. More specifically, these efforts coming from the CIA and other official sources are intended to stifle the people's efforts toward Full Disclosure. This effort of Full Disclosure represents the complete end to elitist rule—monetarily, socially, politically, etc. Consequently, public figures such as Michael Tellinger and others are having to deal with a significant amount of defamation attempts from these sources just to get through the day. So when we speak of incidents such as those discussed in this article, know that they are happening every day, and that it is up to all of us support one another and to ensure Full Disclosure becomes reality no matter how difficult the powers that be attempt to make it. On November 6th, many of us found a strange post (or several) on Michael Tellinger's Facebook page. This post seems to contradict all of the work and success that he has had thus far. It contradicts his show on Gaia.com, it contradicts much of the book he has written, and it contradicts itself on numerous levels. As you can see, the site only exists to push the flat-Earth narrative onto anyone that will listen. We may note that sites such as this are not typically run by honest people. They are run by government interests who are intent upon disrupting and diverting otherwise cohesive audiences online. To demonstrate further, here is another post from Facebook with what seems to be a similar agenda as the A Planet Truth site. As you can see, this material comes from a fake Facebook account. They have nothing to do with an actual real person, but only seem to have been created to push flat Earth on Facebook. We can see that there seems to be some agenda from parties who do not intend to show their faces. Though we cannot say that these examples come from the exact same source, we can say that both of them have chosen dishonest and disruptive means for communicating their message. In order to thoroughly evaluate the message being given, we need to establish a knowledge base of who Michael Tellinger is. We need to know his stance on alternative science and whether or not the posts we see fit that personality. Many of us have watched the series Hidden Origins on Gaia.com. This is a series that delves into the world of physics, geometry, astronomy, and ancient knowledge from lost civilizations in South African along with many locations throughout the world. As an example of Tellinger's base of knowledge on global and cosmic history, let's look at a quote from the episode, Modern Uses for Sacred Sound Technology. Here is Michael Tellinger. Everything in our reality is a spiral activity. Our sun, our solar system doesn't just move through space, it spirals through space. The whole sun moves throughout space in a spiral shape, and the planets seem to be dragged by the sun and the gravity it creates in a spiral fashion. So think about it; the way that the electrons move around the atom—the center of the atom, the nucleus of the atom; the way that water spirals down the drain, and the spirals differ in the northern hemisphere and the southern hemisphere based on the Coriolis forces. And in the south, it moves clockwise. In the north it moves anti-clockwise. That's always a dead giveaway for me when I travel across the equator. So NASA, in 2003, shared with the world that they detected supercluster galaxies being formed by sound frequency. It's fascinating that they say that this is the lowest frequency ever measured by NASA, which basically tells us if they've measured sound frequencies coming out of supercluster galaxies or objects in space in the past. So what they told us in this expose is that measure in the Perseus supercluster of galaxies, billions of galaxies thrown together about 25, 000 million light years away from us here. They measured that this center of the supercluster galaxy resonates at a frequency of B flat in musical terms. This is a spectacular discovery because if we think of source creation as being the point of everything coming into creation, and if we take that as A—the letter of the alphabet starts with A—the next letter or the next frequency in the musical scale would be B-flat. It goes A, B, and B-flat is between A and B. So in there, we can actually start reading a connection between God or the creation of the abba. Those who are familiar with Gaia.com know that this concept of sacred geometry is a mainstay within all of the programming which speak on universal constants. This is because this geometry can easily be seen everywhere we look in nature. From the above passage, it is clear that Tellinger is familiar with the concept of sacred geometry. 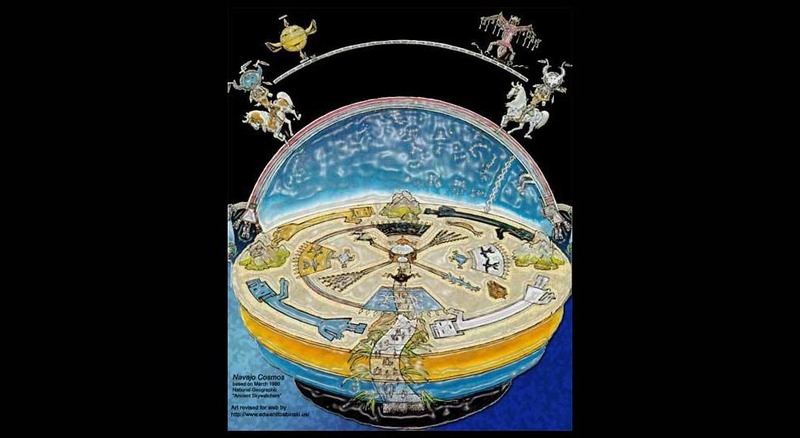 However, as we may know this universal, multi-societal, and multi-cultural constant of sacred geometry is thoroughly betrayed by the flat Earth belief system. The two do not match in the least. This is the first contradiction we find between the supposed quote in question on Tellinger's Facebook page and his actual words. Another is easy to see. That is his use of data disclosed by NASA. The individual (whoever it was) who posted on Tellinger's page seemed to use the standard cookie-cutter script of a completely untrustworthy NASA. Most of us have come to be familiar with this narrative from YouTube videos made by largely unaccomplished and unknown personalities. We can see from Michael Tellinger's success at Gaia.com, combined with his trust in NASA data, that he does have some trust in NASA, and like any conscious and responsible researcher, he does not blindly distrust data strictly based upon its origin. This is yet another reason why the Facebook post along with the post from an obscure website does not hold true with Michael Tellinger's message at all. Let's take a look at a few images which were posted by the individual who was thought to be Tellinger himself. This is a series of images and what looks to be religious iconography created in support of the flat Earth narrative. We may note that these are all 100 percent CGI. There is nothing real about them. These images seem to be nice artistic works, but beyond that there is nothing connecting them with the real world. In fact, there are no authentic images presented by the flat Earth narrative which depict a flat planet anywhere. (The only reason that the flat Earth narrative accuses NASA of this falsehood is because the accusation distracts the audience from realizing the obvious inaccuracies handed to them by the flat Earth narrative, though this is not to say that NASA is completely trustworthy.) Let's take a look at a few details. The statement communicated on Tellinger's page lacks depth and thoroughness. The images presented hardly resemble knowledge of atomic principles of any kind. Neither the alternative community nor the mainstream have shown such ignorance on the true principles of quantum physics and the atom. We can see one example of this in the image simply presented as “Electron.” This image seems to simply be copied and pasted from a Google search. We may note that this post shows far less detail than any concept which Tellinger has presented in the past. This crude explanation of electron cloud configuration seems grossly inadequate for describing the true nature of the atom. When we look at reliable sources, as well as any system within nature we see a tendency for systems to change states according to the energetic input applied to that system. The atom is no different. The more energy we put into it, the greater the change will be. The concept this image (above) touches upon is called atomic orbitals. 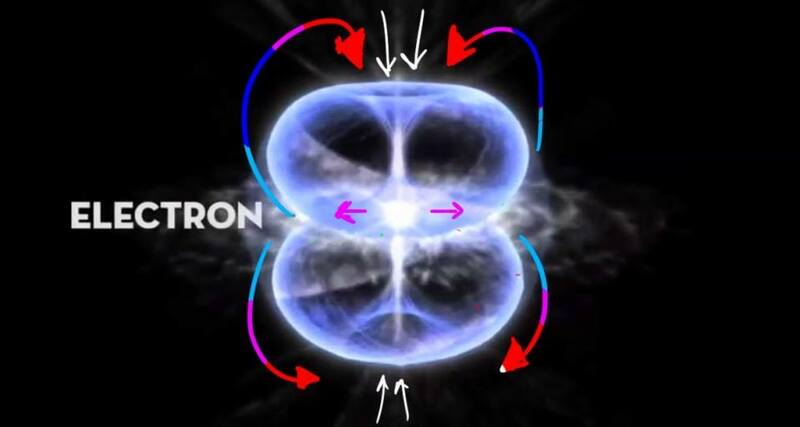 These orbitals are the numerous configurations of the electron cloud around the nucleus which change in accordance with the amount of energy we apply to the atom. As the energy increases, the complexity of the cloud configuration increases with it. Notice the blue and white cross-sections of spheres to the left. Here we see the microcosmic equivalent of the macroscopic planet or star. The other orbital configurations are the equivalent of galaxies which we find throughout the universe. As the real Michael Tellinger has stated in the past, the universe has a fractal structure which underlies everything, and everything from galaxies to atoms functions according to these vibratory, fractal structures. Also, notice the green and white configurations toward the bottom of the Orbitron diagram above. These as well as many others are where we can see the universal forms of sacred geometry. 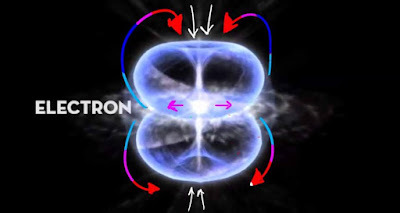 As increasing energy is pumped into the atom, these orbitals increase in complexity and eventually start to reveal the same Platonic solid forms and spherical geometry we see everywhere else. Physics Stack Exchange - Do orbitals overlap? The utter inconsistency of the Facebook posts in question reveals the fact that we need to expect more from the sources we frequent. From the reaction of some people to blindly accept such unprofessional presentation from a seasoned professional like Tellinger, it seems clear that many of us need to increase our standards for the information we accept. Once again, Michael Tellinger is a professional author, presenter, and researcher. There is no reason that I can see that he would deliberately stoop to such low standards of presentation. There seems to be a good portion of religious belief presented in these Facebook posts as well. This is also strange because Tellinger has stated plainly in the past that religion has been used to divide us. His goal overall, has been to unify the planet. Yet here is an example of someone presenting one of the most divisive ideologies of modern time in just two days (the same two days in which the mysterious web page posted this supposed quote). In my view, these posts do not add up in the least. They do not show to be the posts of the actual Michael Tellinger, but of someone who has hacked his account, just as we have seen happen to so many others. It seems that this person has done what they could to divide and mislead those who are still suggestible in an unproductive direction. The first thing that struck me about these strange posts of Tellinger's was that they were not in his area of study. Not only this, but I actually remember hearing the exact same script (from the Facebook post on flat Earth) perpetuated on numerous flat Earth promotion/recruitment videos on YouTube. To add, these words are commonly parroted among those who frequent this ideology, and it seems that wherever we find them, we find those who do not always think for themselves. This is not at all to be insulting. It is merely to point out the common trend of blind agreement which exists within these circles of belief. The points and opinions expressed on the average flat Earth video wind up being the exact opinions of all of those who subscribe to them. It is fine to agree with an idea. However, when the exact, word-for-word verbiage is simply copied and pasted into the brains of those who subscribe to the verbiage, this typically negates our freedom and right of independent thought. The supposed posts from Tellinger's Facebook page appear to have come from an obscure website that has no connection with Tellinger at all. Other than an easily obtainable image of Telligner's book Slave Species of God , there is no connection between himself and these words and images. Once again, I have heard these exact same words repeated over and over again by different people on video after video as though they were a corporate news broadcast designed to be absorbed by an unsuspecting audience. Another aspect that is equally strange is that Michael Tellinger has no reason to parrot anyone. Tellinger is a man who thinks and acts on his own accord. He does not seem to have any need to mimic or repeat anyone else, and this is one of the main reasons why he has been so successful in his endeavors in research, authorship, in public presentation, and in the Ubuntu movement overall. These are endeavors that require exceptional intelligence and independence from the mindsets of others. Parroted words have no place in the mind or the mouth of such an individual. A little simple observation goes a long way. 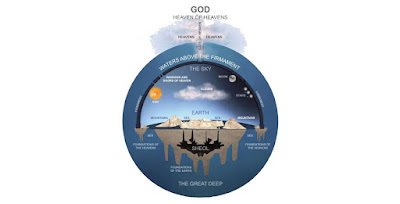 One point we may consider is that so many flat Earth promotion videos talk about the fact that you can see the “coast of Michigan from Chicago”, and they use this as proof of their point. This is a common narrative that is parroted consistently, and we see this in this supposed quote from Tellinger. However, he lives on Johannesburg, South Africa. Why would Tellinger be parroting an example that is thousands of miles away from the location he regularly observes? Why would a real observation of his own hometown not be used, and why is YouTube choosing the verbiage of this accomplished author, researcher and presenter, when he obviously has the ability and will to speak for himself? The pieces do not add up. If Michael Tellinger typed those words, we would see them on his own site, and not just on the obscure site we have observed. If he actually typed them, it would be obvious and with the same high quality he typically uses in his presentations. Even if Tellinger believed these things, his energy would be focused and devoted to matters more impactful than those of such trivial nature. The Ubuntu movement is no small matter. Its promotion and advancement requires a large amount of time and energy, and I cannot imagine a person such as Tellinger spending hours on end posting and re-posted the same repeated commercials and phrases when there are so many more tasks to accomplish. The recent posts on Tellinger's Facebook page do not seem to be the words of an accomplished author and public speaker. These seem to be the words of someone who is imitating such a person and using their own resources to discredit them. This is not to tell anyone what to believe and what not to. This is to call us all to self-responsibility, to observe the world around us for ourselves, to stop allowing unknown parties to determine our opinions, and to act as mature adults in solving the mysteries of the universe. There is one commonality we can find with all truth. That is that truth always offers continuous growth and advancement, and this advancement is virtually infinite. The truth offers true freedom not fictitious freedom or quick fixes. There are countless narratives which exist that distract numerous people while constantly attempting to convince them that they are free. However, these narratives offer no growth, no change, and no societal advancement of any kind. All they do is convince people to gather into groups and talk about concepts that don't change or improve anything. These narratives offer no improvement of our world situation whatsoever. They also offer no practical solution to any of the problems they propose to exist. As much as it has been parroted, plagiarized, and religiously promoted, the narrative of flat Earth does not seem to be any different. The goal of this narrative has been shown to be distraction and dissension. If this is the case, it seems to have done the job quite well. We do not have to look far to see a more provocative subject being promoted on social media. To add, when we are attentive, we will see that this is a key focus of many trolls on Facebook. As we have seen, entire accounts exist to do nothing more than promote flat Earth and cause arguments in otherwise cohesive online communities. This may be because this ideology is known to be a point of contention among those who frequent alternative subjects. We have learned through numerous sources that the CIA and other agencies are actively infiltrating Facebook and numerous social media platforms for this very purpose. Those who troll know that discernment is still lacking. Even after all this time we have had to awaken, to open our eyes and to take charge of our own independence, we still bow to trends, rumors, fear mongering, and half-backed stories. The only way this world will ever be free is if you and I do better than this. Here are a few tips on what to look for in a fake Facebook account. If the account has no actual images except pour-quality stock images, or images that can easily be obtained with a Google search, it might be fake. If there are only a few posts with little or no thoughtful text included, it might be fake. If there are nothing more than short compliments and comments below the posts from people whose accounts are equally as questionable, it might be fake. Most of all, if you find an account where most of everything on the page—including the cover image—promotes divisive narratives, chances are it is fake. It is understandable that my perspective as a blogger gives me a unique view into the world of paid trolling. These are people I encounter all of the time and have been dealing with ever since I started posting from sources that threaten the status quo. One telling behavior of these people is that they are unadaptive and rarely change, no matter how outdated their methods are. We can also observe these types of people online due to their rhetoric. They will typically stick to a script that is designed and implemented from a boardroom. Their script and method are then deployed on social media against unsuspecting people who believe they are only interacting with authentic users. These methods are used and overused until they become outdated—making trolls easy to spot. The people behind these tactics are usually uncreative and only have their script to guide them through their job of subversion and dissension. They are unstudied and unaware of much of the topics they are supposed to subvert. 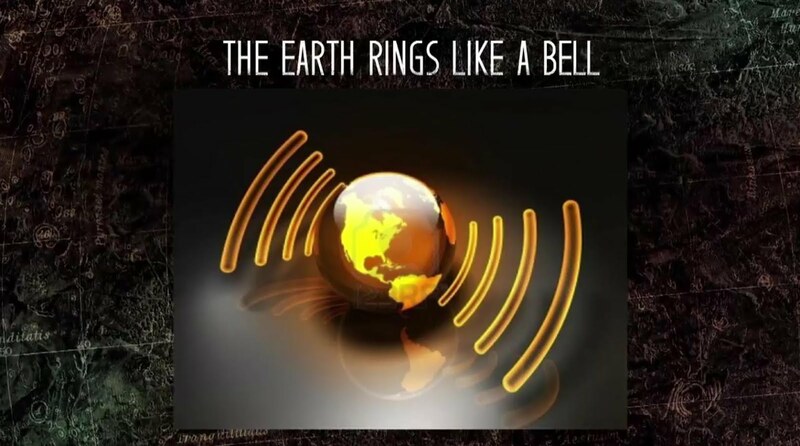 Consequently, when they attempt to imitate the scholarly, complex, and informationally dense work of astute researchers such as Michael Tellinger, the fact clearly shows. However, we only typically see this if our eyes are open to it. Flat Earth has been shown to be a tool of choice for these paid trolls. Many of us have realized that the promotion of flat Earth was part of a large campaign of disinformation designed to stagnate social change. However, it is important that those who still subscribe to this ideology learn this for themselves. We each have the right to explore as we please, but when we do so, it is important that we know what it is we are looking at. It is unlikely that any of us would believe that paid trolls would violate the privacy of others by hacking into their account just to tell people the honest truth. Why not just say it themselves? In my view, this act was committed by trolls for the same reason it has always been done. This is to divide social groups which are seen as hazardous to the establishment. It is also likely that those behind it intended to tarnish the image of Michael Tellinger, as he has threaten to overthrow financial superiority of the Cabal criminals we have come to know of in recent times. There is no need for external justification for that which we seek. There is no need to legitimize our curiosity for that which we do not understand, and no true reason why any ideology should be an emotional security blanket for us. Our curiosity stands on its own. Our identity stands on its own and there is no need for us to look outside of ourselves for this legitimacy and security. When we cling to any belief system it is because we do not have security in ourselves to find the truth that we seek. We have a hole within us that must be healed and filled with the knowledge and respect of our own authentic Self. However, instead of doing ourselves justice and making efforts to become whole, we choose to fill this hole with external belief systems pretending that these belief systems are our identity. We cling to these belief systems wherever we go. We flaunt them in front of others believing that others are foolish for disagreeing with us, and convincing ourselves that there is no other belief that suites the reality we have chosen. We often take the disagreement of this belief system as a personal insult—sometimes even attacking those who do not agree with us. In this way, we have become our own counterfeiter. Instead of showing up to social situations—whether online or in person—as our authentic self, we promote the belief system instead. In this way we have successfully replaced ourselves with a belief system we barely understood before cramming it into the emotional hole within us. In this way, instead of becoming whole, we have chosen to remain fragmented and unable to function as an individual. We have become dependent once again to external ideology and have failed to become the individual we were born to be. In wholeness, there is no need for external sources of security. Within true Self there is no need for self-justification. The Self stands on its own and holds no dependency upon external thought or belief. The only way to reach this Self is on one's own. Without this internal journey of self-discovery, there is no benefit from any outward search for information. There is no substitution for Self and self-respect. There is no substitution for self-dependence and self-discovery of truth and reliability. This independent search cannot be found in any belief system. It cannot be found on YouTube or any other website. This search must begin within us, and within ourselves alone. It is my hope that we as a human race can develop beyond the point that we are so easily manipulate by the tactics we have discussed. In the future when these weapons of mass distraction are presented, we may be able to recognize their use and to take steps to ensure that no one is actually hindered by them as before. It is our task to awaken and to take our place as fully conscious, mature, and aware individuals. Only in this state can we change our planet for the better. To close, here is a presentation by the one and only Michael Tellinger. Please take a moment to send Michael Tellinger your prayers and positive energy. I cannot say much more, but it is very likely that he needs them. Excellent article. Thank you for honoring Truth of one individual (Michael in this case) and for the Truth of the Whole that shines through your tone of civility which is an expression of Love. Those of us who care about personal and planetary healing appreciate you. Yes, this is personal! Speculation is that the people behind this underground service are members of the Eastern European Internet Mafia. Payments have been traced via a popular money transfer service to the Ukraine.